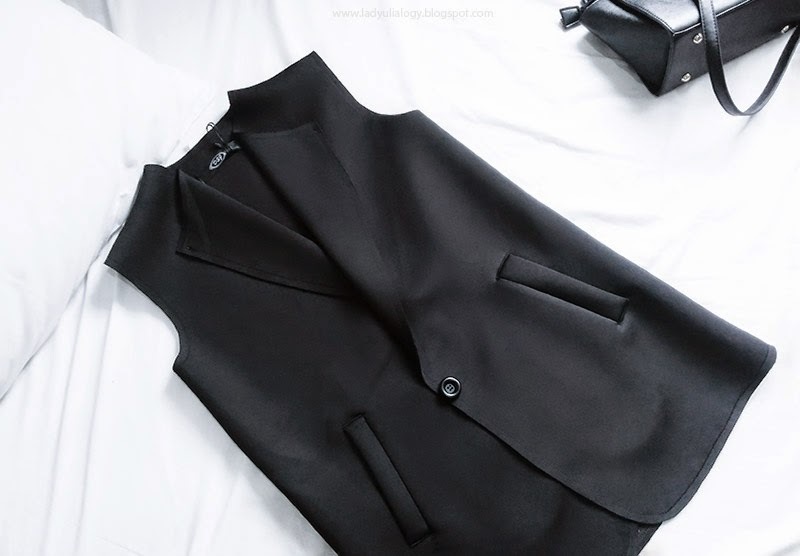 Lately, I've been searching for a perfect sleeveless blazer and so glad that I found this neoprene sleeveless blazer at Plaza Semanggi, unfortunately I forgot the name of that Taiwanese store. 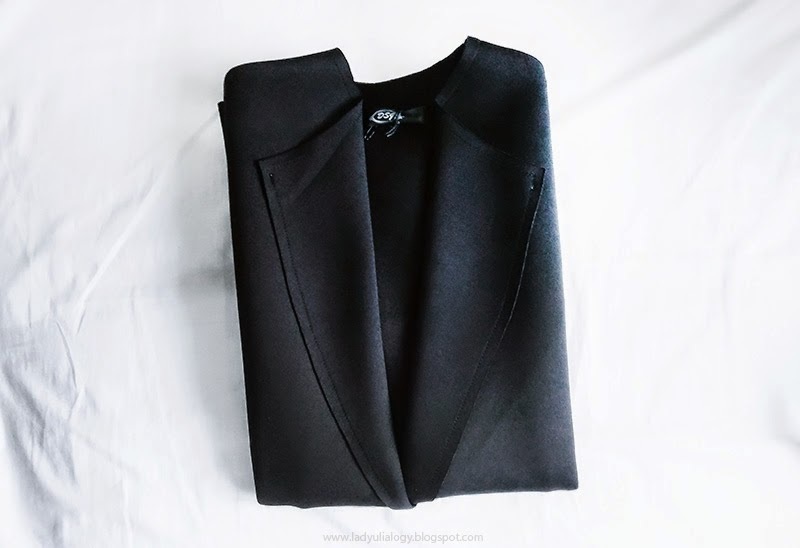 What makes me fall in love with this sleeveless blazer is it is made from neoprene material. Neoprene is a soft, durable, and flexible synthetic rubber. But mine already mixed with nylon and polyster to make it wearable and washable. I heart the silhouette created by neoprene materials when it become a clothes. Neoprene material creates a natural volume and boxy silhouette. 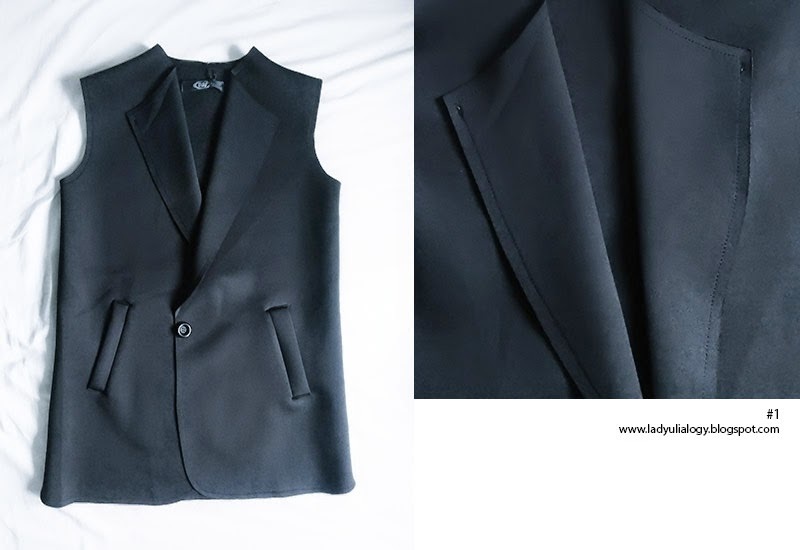 That is why I felt so happy when I found this sleeveless blazer hung on the store. Besides, it means I already found one of my 2015 wardrobe wish list. (Read about my 2015 shopping guidelines and fashion wish list here). Since I bought my black neoprene sleeveless blazer, so I just have 11 more chances to buy any kind of clothes. I wish I could really discipline to run my wish list and definitely will share about my product purchases here in my blog. Back in the days, when I was still a Pool player (billiard), neoprene blazer was one of my main outfit buat bertanding. Hihihihih. Nyaman dan nggak panas.